Christmas is the perfect time for kids to get creative - so let them craft and bake their way to the most magical of Christmases. Catherine Woram's craft projects put busy little hands to work on perfect gifts to give, as well as great ideas for wrapping them and greetings cards to make. Kids can deck the halls with colourful garlands and make a stocking to hang up for Santa! Annie Rigg's tasty Christmas treats - from Marshmallow Snowmen to Coconut Ice - are perfect for giving as gifts, if they last that long! Irresistible edible decorations include snowflake cookies to hang on the tree and an adorable gingerbread house, while party foods will help get the festivities underway. 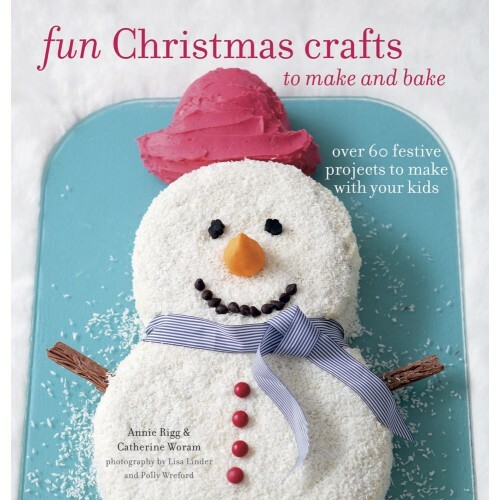 Including over 60 exciting festive projects, which are suitable for children from ages 3 up to 11, this is the perfect guide to introducing kids to a world of exciting homemade Christmas crafts.